The halfway point of the season is just about here and with that, the push for the fantasy playoffs is about to begin. This is where all your moves can make the difference from being the last one into the playoffs and the first one out. At this point in the season, we can figure out who the fantasy stars are and also who the fantasy busts are. This can help you scour the waiver wire as you can afford to drop a Lamar Miller, Derek Carr, or DeVante Parker to pick up some better players to help pursue a fantasy playoff berth. This article will bring you a mix of common and maybe some uncommon names to add to your roster. Some of these players are slowly picking up steam, but are not yet well known around fantasy circles. This is your chance to be ahead of the pack and grab them as you can reap the rewards over your competitors. So jump in and figure out if these names are worthy additions to your lineup. 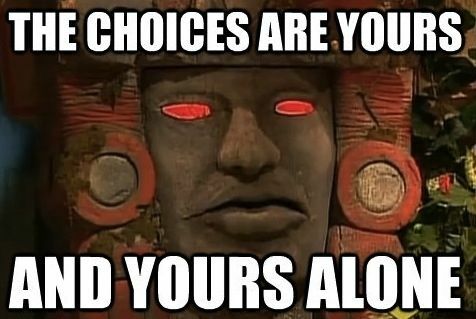 As always, the choices are yours and yours alone! Now before you close this browser because of the absurdity that is listing Beathard as a waiver wire wonder, here’s a couple things to backup this claim. Before the debacle against the Rams over the weekend, Beathard was averaging 17.3 fantasy points per game since replacing an injured Jimmy Garoppolo as the starter. He has also thrown two touchdowns and at least 240 yards in each of those games as well. Sure these are not numbers that you would write home about but look at the following opponents that Beathard and the 49ers will face in the coming weeks. Games against the Cardinals, Giants, Raiders, Buccaneers, and Seahawks spell a good string of match-ups for Beathard to perform well against. Now he may not be must-start every week even with these good matchups, but Beathard is a good guy to have when starters like Carson Wentz, Matt Ryan, and Tom Brady still have bye weeks looming ahead. Beathard is a guy to keep an eye on and he could be a sneaky addition to your team based on the week’s opponent the 49ers would face. Marshawn Lynch has just been placed on the injured reserve list and there is a possibility that he is done for the rest of the season. This is a good chance for veteran Doug Martin to finally get involved in the offense and also open the door for Richard. Even with Martin getting touches, Richard is going to be used as the pass-catching running back anyways. Martin will get touches, but his ability has severely dropped since his time in Tampa Bay. This really opens the door for Richard to establish himself as the main running back in the Oakland backfield. Especially with a massive flux of starters on the offensive side of the ball, Richard can prove that he can be relied upon in the offense to help put points on the board. Martin may be the bigger name to consider adding, but Richard may be the smarter addition to your fantasy roster. Ted Ginn Jr. was just recently placed on the injured reserve list and will be out of action for a good amount of time, if not the rest of the 2018 campaign. After having a sensational game against the Redskins, including being on the receiving end of Drew Brees’ record-setting pass, Smith is the first in line to see more targets with Ginn Jr. being out. The rookie out of UCF is a great athlete and will be a perfect complement to Michael Thomas in the passing offense. Even though his stat line dropped to only three catches for 44 yards in his most recent game against the Ravens, Smith is a guy worth adding to all rosters in fantasy football. Chalk up this game against Baltimore as a matchup against a tough defense and add Smith to your roster before someone else does. This name is listed here because of the attrition in the New York Jets passing offense. Receivers in the Jets offense have been dinged up constantly and it has been hard for Sam Darnold to establish a rapport with any of them. We thought Quincy Enunwa was the guy, then he gets hurt and same can be said about Robby Anderson and now Jermaine Kearse. This is where Herndon can be the next man up and still help move the ball down the field, through the air. The rookie has scored in two straight games and almost had two scores in the game against the Vikings, if not for a replay review over-turning the touchdown call. Still, you can see that Herndon has jumped to the front of the line as far as tight end targets in the Jets offense. Couple that with the fact that the Jets receiving corps has trouble staying healthy, makes Herndon a sleeper to break out in the next few weeks and a solid name to bolster your roster. This one doesn’t need too much explaining. With an extra day to prepare, the Patriots defense will be facing the Bills on Monday night that will most likely still be without Josh Allen at quarterback. Based on the performance the Colts defense put on the Bills over the weekend, we can expect Bill Belichick and his team to possibly even pitch the season’s first shutout. Excellent streaming option this week if you have the Chargers or Titans defense currently.